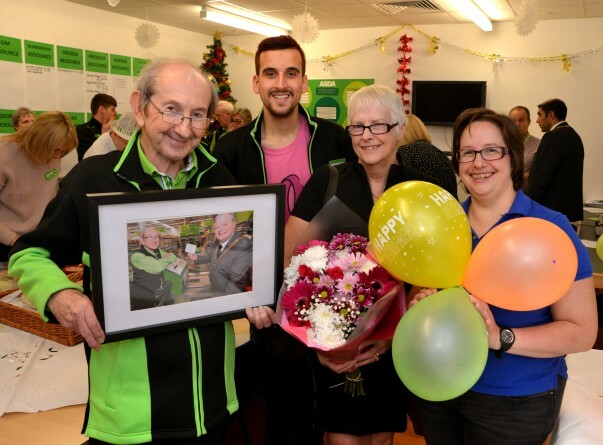 Everyone at our Worcester store loves Roy Pennington – and he's so well known for his fantastic customer service and cheery personality that he was joined by friends, family, shoppers and even the mayor when he was thrown a surprise retirement party. Roy, who's 72, is taking a well-earned rest after years of putting smiles on customers' faces at his checkout. His wife Margaret and their daughter Karen joined him for his final day at the store. He said: "I had an absolutely wonderful send off – it was a complete surprise. "The camaraderie in the store has always been wonderful. The colleagues and customers are fantastic and so many of the customers know me by name. 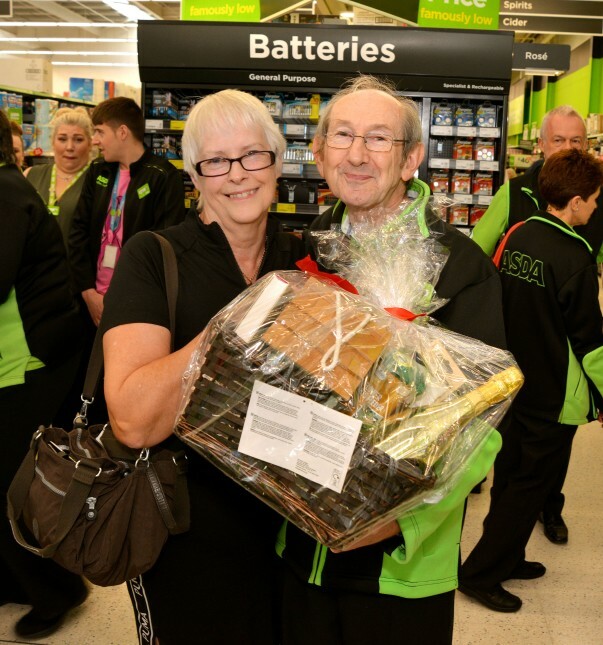 "I always thank people for shopping at Asda and they repay you by being nice in return. I just want to make sure they've enjoyed their shopping experience. "Now I've retired I think I'll have a very tidy garden, and I'll be chilling. I'll still be popping in to see the guys here too." 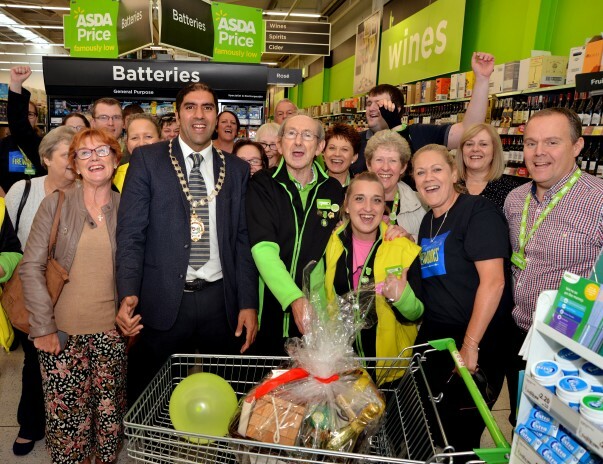 Store manager Nick Farmer and the store's community champion Adam Monger organised the surprise, inviting in people who know Roy, including Worcester's mayor, Jabba Riaz. 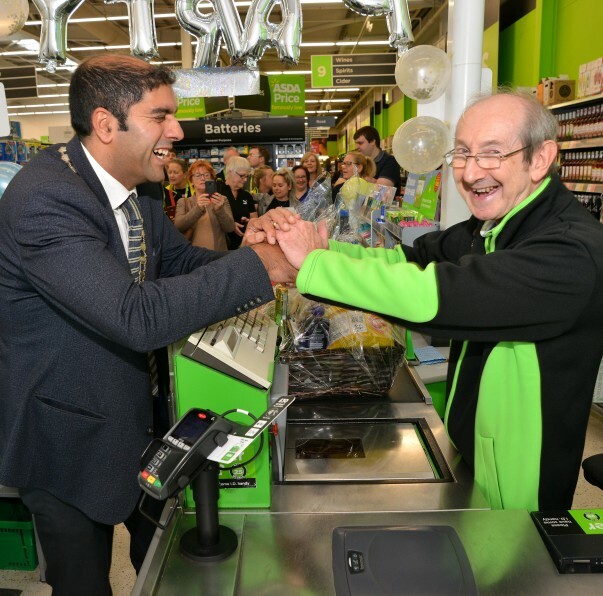 In 2014, the then mayor Alan Amos invited Roy to a celebratory banquet for people who go “above and beyond the call of duty” in their work because he "brightens up the life of everyone he meets at checkout". And in 2016 we received lots of lovely comments about him on Facebook after he was sent a touching thank you card by two happy customers. Nick said: "Roy is fantastic, so we really wanted to see him off in style. He's always got a smile on his face and there's always a long queue on his checkout with people wanting to be served by him. "On his last day, which was a Wednesday, a customer who only shops on Saturdays came in just to see him. That says it all. "Roy leaves a legacy of how to interact so naturally with people, as everyone just loves to speak to him."